Here are your 2019 candidates for Denver mayor - Denverite, the Denver site! Nov. 07, 2018, 2:16 p.m. The mayor of Denver is the most powerful city official around. The office sets the city budget, the clearest way to decipher the head-of-city’s priorities. It’s kind of like looking at your (my) bank statement and realizing you (I) have a problematic addiction to Chinese noodles. Except instead of noodles, more important things like housing, transportation and public health are at stake. Denver’s mayor, who is elected to a four-year term, has the Denver City Council’s number when it comes to power. While members have to sign off on the budget, they’re the lower branch of what’s called a “mayor strong” government. The city council makes laws, but the mayor has the power to approve or veto them. The city auditor is the mayor’s office’s main check on power. That’s all to say that Denver’s mayor matters — more than the job does in other cities. So here’s who will be on the ballot for the May 7 municipal election. Ballots will be mailed in April. Lisa Calderón’s platform centers on affordable housing, “resident-led” development, decentralizing the mayor’s office, and women and workers. “There are ways to do density that really centers a community in it, rather than a developer’s idea about cramming so many people in there,” she told Denverite in October. Calderón co-chairs the Colorado Latino Forum, which works to bolster political strength and civic engagement among Latinos. The activist also founded the Community Reentry Project, a nonprofit to help former inmates flourish in society after jail. She closed the organization after losing a city contract, which is the subject of a pending lawsuit against Mayor Michael Hancock. If elected, Calderón would become Denver’s first female mayor. Here’s a deeper profile on the candidate. Jamie Giellis helped develop and lead the RiNo Art District, a branded geographic area in the River North section of Five Points that works with businesses to finance neighborhood improvements. If elected, she would focus on housing, transportation, environmental sustainability and education, she told Denverite earlier this month. Moving people more efficiently with transit and biking is another goal of the new candidate. If elected, Giellis would become Denver’s first female mayor. Mayor Michael Hancock has presided over the city since 2011, so he’s overseen several years of unprecedented growth and development. He’s running for his third and final term. It’s fair to say that housing, displacement from gentrification, and transportation have the mayor’s attention lately. Hancock, along with the city council, created Denver’s first-ever affordable housing fund. Still, the mayor has quarterbacked the city during a period of increasing gentrification and displacement. Sexual texts sent by Hancock to a subordinate, Detective Leslie Branch-Wise, have scarred his tenure — but it’s unclear whether the incident has hurt his chances of returning to his office at the City and County Building next year. Hancock apologized after the news surfaced. He’s raised about $713,000, according to campaign finance disclosures. 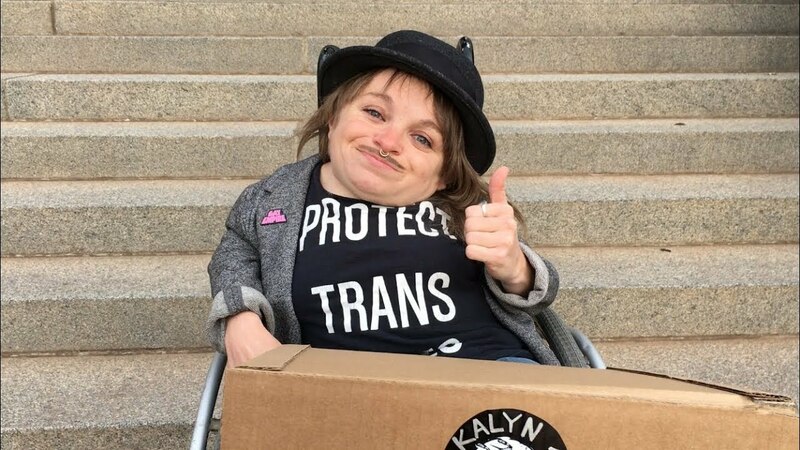 Kalyn Heffernan’s candidacy started as an April Fools joke. Then people got really excited, so she went legit. “There’s just so much at stake in Denver right now that I kind of felt like I didn’t have much of a choice,” Heffernan said in an interview. You may know Heffernan as the voice of Wheelchair Sports Camp, an experimental hip-hop group. Or as an activist and DIY artists fighting against displacement from gentrification. The 31-year-old is also a teacher at Youth on Record. Penfield Tate is looking to restart his political career after 15 years away from elected office. He’s served as a state representative and state senator, but hasn’t held office since 2003. Tate — you might be sensing a pattern here — says he would rein in what he sees as poorly planned growth in order to preserve small businesses and affordable homes. Tate would address homelessness and affordable housing by working with the private sector, particularly nonprofit developers, to come up with “more creative” ways to incentivize new attainable homes. He’s been speaking with home builders in the nonprofit sector and would take their advice to heart, he said. Asked if he supports the urban camping ban that prevents people without homes from taking shelter in public, Tate was noncommittal. He would partner with the private sector, particularly nonprofits, and reallocate city resources to deliver solutions, he said. Transportation and environmental sustainability are two other concerns of Tate’s. He believes the Hancock administration is “trying to force people out of cars,” which is “misguided.” He said would prioritize investing in transit, but also prioritize the freer movement of cars… somehow. The city’s been doing that for decades, which has resulted in more cars and traffic, so this one should be interesting. Tate has spent about $35,000 on his campaign so far, but third quarter campaign finance reports show no contributions. If you’ve ever been to a Denver City Council meeting, you’ve been in the presence of Stephan Elliot Evans, who goes by Chairmen Seku. He’s got a way with words, and he’s got a lot of words about what the city isn’t doing for the underprivileged. He shares those words with the city council at nearly every public hearing. Seku, who ran for mayor in 2011, said also he would end the urban camping ban and give residents a greater share of the wealth wrought from development. “There’s a hole in the bottom of our social economic ladder,” Seku said. “People are on the bottom, drowning. We invite you to our neighborhood and you take the whole thing.